The Paducah Sun’s Ed Marlowe talks Racer volleyball, football, basketball, and high school basketball. A recap of Racer volleyball, football, and basketball with postgame interviews from the Racer Radio network with Matt McMahon, Mitch Stewart, Quincy Williams, Rashad Johnson, and Devin Gilmore. 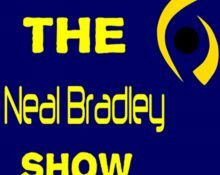 Voice of the Calloway County Lakers Blake Bernier talks high school football playoffs, NFL, and NFL Fantasy. The Paducah Sun’s Ed Marlowe talks Racer football, basketball, volleyball, soccer, and more. The Paducah Sun’s Ed Marlowe talks Murray State women’s and women’s basketball, Racer football, soccer, and volleyball, plus a few other tidbits. Voice of the Calloway County Lakers Blake Bernier wraps up the Laker football season, looks at this week’s football games, NFL games and NFL Fantasy advice. We recap the weekend OVC football action, look ahead to this week, tell you a bit about tonight’s Murray State vs Brescia exhibition game, the Racer soccer team’s OVC championship, and recap the weekend in regional sports. Voice of the Calloway County Lakers Blake Bernier talks high school football playoffs, college football, NFL, and his Fantasy tip and sit.